I'm so excited to share with you DIY:Engagement photos. My husband and I did our own engagement photos. We just use a point and shoot camera and a tripod. Set our camera on timer and for 10 continuous shots. We try to make it kinda candid so we were moving a lot rather than posing on our pictures. Easy right? Hope you find this helpful and if you like this post please vote for me by clicking on the banner below. Also, just want to announce that my giveaway winner was Vikki B.
love this! your DIY engagement photos are beautiful!! Aww, you guys look great together. 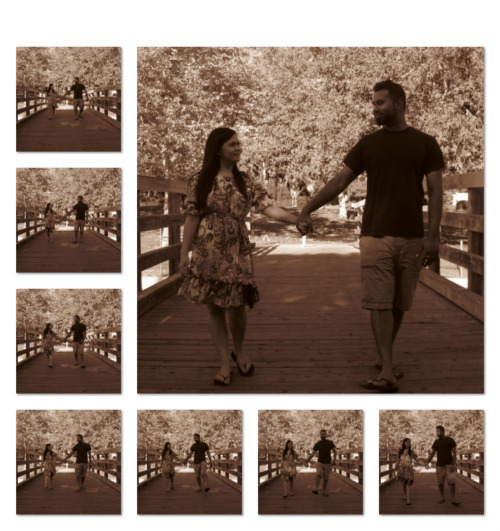 It is such a great idea to DIY your engagement pictures. It is economical. And how cute too. Great idea! I just need to create a collage with my boyfriend to put on the wall =) And you're so sweet!! Lovely idea, I like the photos very much. You took some awesome DIY photos! I wouldn't have known there was no photographer. Beautiful! Yay, these look beautiful! Great idea with the continuous shooting! You two are so adorable! What cute photos! These are so sweet! I especially love the second set where he hugs you and gives you a kiss. So sweet! If you want we can follow each other, take a look, giveaway on the blog. http://fashionaleshopaholic.blogspot.it/ Vi aspetto, nuovo post online! Super cute! I love how the pictures came out. Sooo cute pics. Have a great day. Hello, nice photos, thanks for visiting my blog and for your nice comment, I commented that already follow you by GFC. Let me know if you want to follow us also on Bloglovin and Facebook. Gemma | ♥ MAC RiRi Woo giveway on my blog! You did such a wonderful job with the photos, they came out truly beautiful! Awww those are sweet photos! Thanks for sharing. Hailing in from Flashback Friday. I'm your latest follower also. Nice to meet you. Hope you can stop by some time, and check out what's goin' on by me too! Have a great weekend. I love how you did your own engagement photos. Very cute! Such lovely pictures!Congrats and all the best! What a lovely idea! If I'm lucky enough to get engaged one day, I'd love to do a photoshoot like this. Good for you! They are super cute! Congrats to you both! Lovely pics dear..Hope you had a great time shooting these moments.